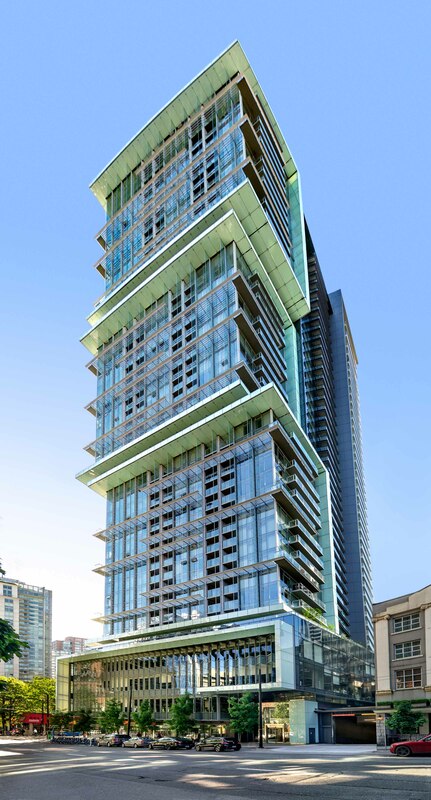 The TELUS Garden Residential Tower is an integral component of the $750-million TELUS Garden development that includes the TELUS Garden Office Tower, and the renovation and reskinning of the existing telecommunication hub. 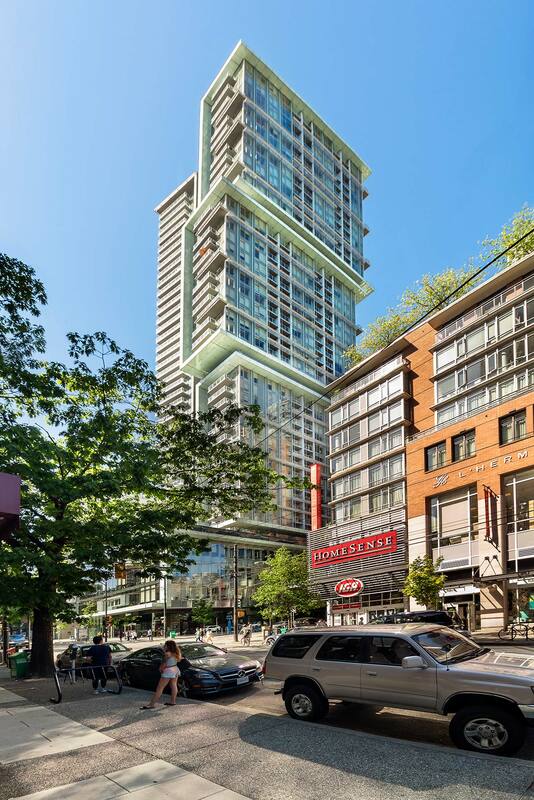 These buildings and associated public spaces have revitalized a city block in Vancouver’s downtown core between Georgia, Robson, Seymour and Richards Streets. 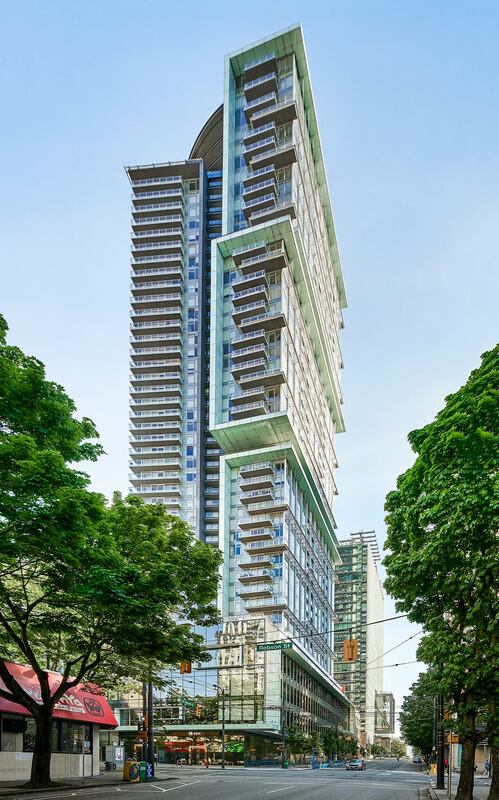 The residential building consists of 46-storeys, including over 400,000 ft2 of market condominiums, a three-storey commercial podium and eight levels of underground parking. 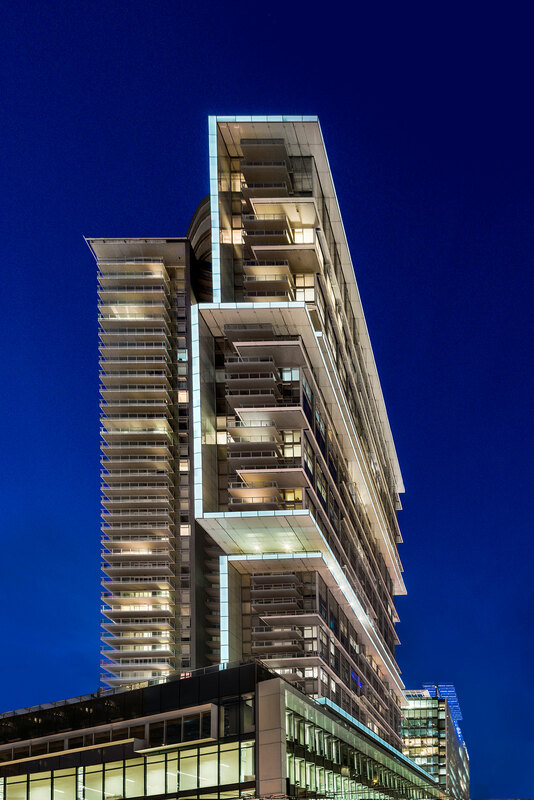 The 424 residential units range from one to four bedrooms and luxury penthouses. 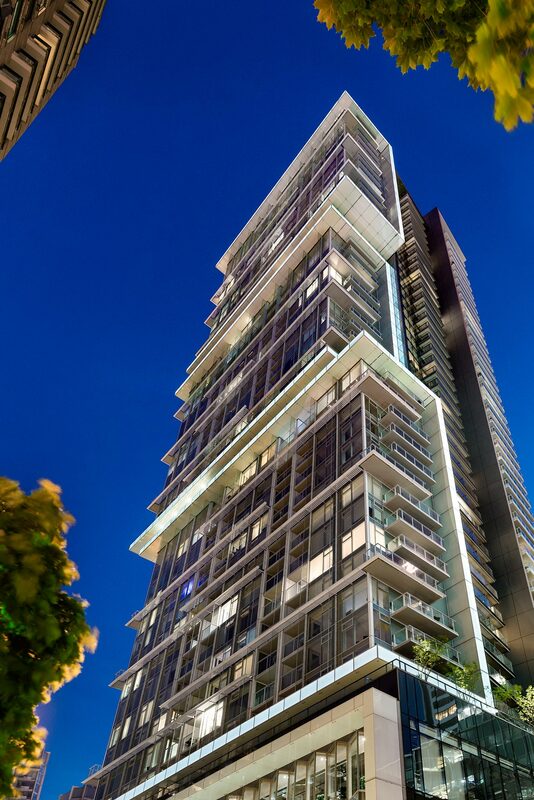 Located within close proximity to a vast array of essential everyday amenities, TELUS Garden Residential acts as a transitional building between the residential neighbourhood to the south and the Central Business District to the north, restoring a gap in the urban fabric created by the former Richards Street parkades and the Seymour streetwall. 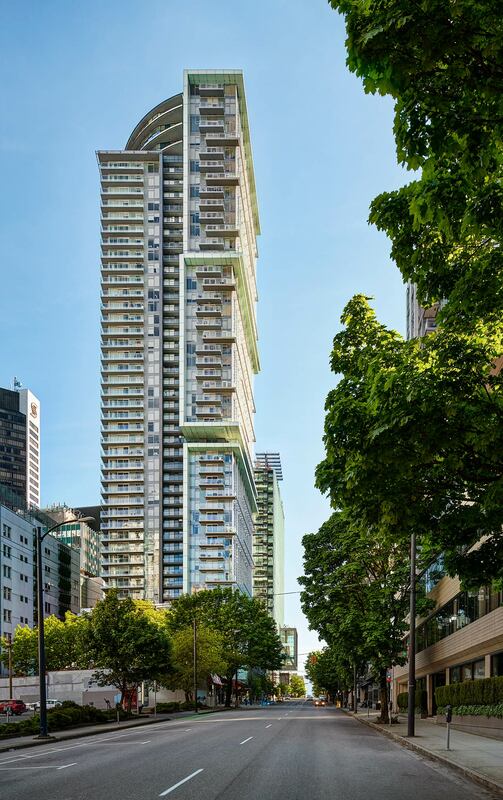 The project re-establishes this area as both a destination and a thoroughfare – a vibrant place to live, work and play. 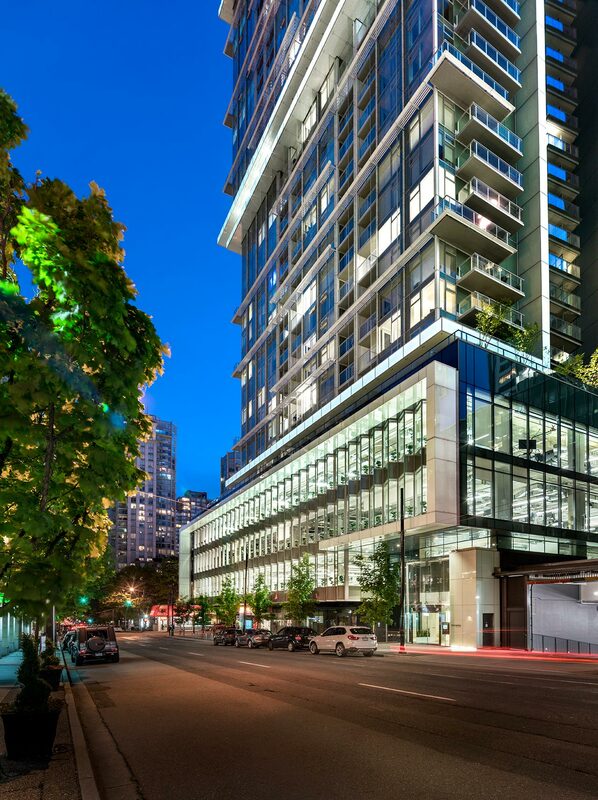 Employing innovative technologies and practices, the TELUS Garden project uses at least 30 percent less energy than a standard development of its size. Notably, excess heat is automatically transferred from one building to another as needed, solar panels power infrastructure, and rainwater is captured from garden irrigation. There are also charging stations for electric cars and bicycle storage facilities. 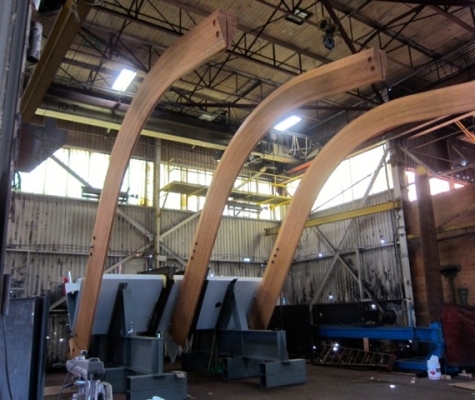 To obtain such a high level of certification, investment was made on energy optimization, water reduction, sustainable material selection, healthy indoor spaces and connectivity to the urban environment. 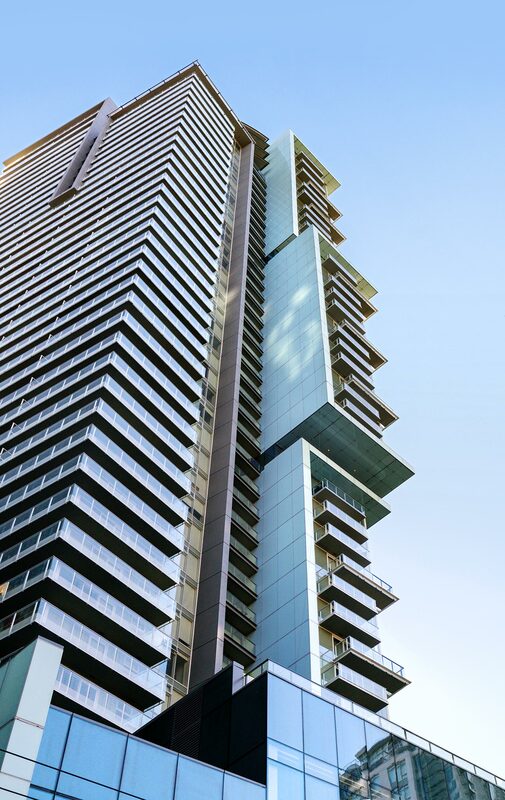 The residential tower has successfully achieved LEED Gold standard, upholding TELUS’ commitment to contributing to the global movement towards sustainable buildings, green cities, health and well-being.